With the anouncement late last week of Hong Kong Disneyland adding three new attractions it appears the smallest Disneyland in the world is getting a little bigger. Hongkong International Theme Parks Limited, a joint venture established in 1999 by the Hong Kong SAR Government and The Walt Disney Company for the development and operation of Hong Kong Disneyland, today announced further expansion plans for Hong Kong Disneyland with the addition of new attractions: it's a small world and Animation Academy, in addition to Mickey's WaterWorks. "As tourism in Hong Kong continues to strengthen, we will look for more ways to expand Hong Kong Disneyland and enhance our Guests' experience, adding entertainment, attractions and spectaculars for the whole family to enjoy," said Bill Ernest, Executive Vice President and Managing Director, Hong Kong Disneyland Resort. "Today's announcement, coupled with our recent expansion of Tomorrowland, reinforce our long-term strategy and we are excited about what the future holds." "Beloved Disney attractions such as it's a small world have entertained millions of people all over the world for decades – and now Hong Kong Disneyland is going to feature this Disney classic, which will include elements that can only be seen at Hong Kong Disneyland," added Ernest. Just this summer, Tomorrowland was expanded to incorporate three dynamic new attractions – the exciting Autopia experience, the fun Stitch Encounter and the UFO Zone adventure. Coming in summer 2007 will be Animation Academy and Mickey's WaterWorks, yet another unique attraction and a fantastic parade sure to rate highly with our Guests. A feature at every Disney theme park around the world, it's a small world is a boat ride attraction containing a colorful cast of international dolls "singing" the famous theme song, ‘It's a small world (After All)'. Celebrating the notion of nations, people and societies all coming together in global harmony, the attraction is scheduled to open in the first half of 2008. This classic attraction was first seen in New York at the 1964-65 World's Fair before being moved to become the newest attraction at Disneyland in California the following year. Walt Disney commissioned the Oscar-winning Sherman brothers to come up with a simple piece of music, for guests' enjoyment as they sailed through the attraction on boats - one which could be repeated over and over and sung in different languages. The theme song‘s lively tune added a magical touch and captured the heart of millions of people around the world. It was soon hailed as a universal anthem for world peace. "We are thrilled to introduce this new yet classic attraction which will bring even more enjoyment to our Guests, with amazing scenes and beloved Disney characters exclusive to Hong Kong Disneyland," added Ernest. For the first time ever, more than 30 popular Disney characters, including Peter Pan, Aladdin and Mulan, will join the existing dolls to be seamlessly blended in the countries where their stories take place. Enhanced with an expanded Asia section which will include famous regional landmarks such as the Great Wall, the Temple of Heaven and the distinctive Hong Kong skyline, the attraction will also include a Middle Eastern scene and a new scene for North America – something not even North America's Disney resorts enjoy! The grand finale features the children of the world coming together from all the corners of the globe for a spectacular "curtain call" with some extraordinary optical lighting effects not seen on any other Disney ride! Another exceptional aspect of Hong Kong's own it's a small world is its classic façade, inspired by the versions in the U.S., Tokyo and Paris, which boasts a unique color scheme and has been specially designed to take advantage of the different quality of light in Hong Kong. Another new attraction, Animation Academy will certainly encourage creativity among our Guests! Located next to "The Disneyland Story" on Main Street U.S.A., this attraction will be an interactive Guest experience that is both entertaining and educational. Here, Guests can pick up a pencil and be part of the Disney creation experience – through art! 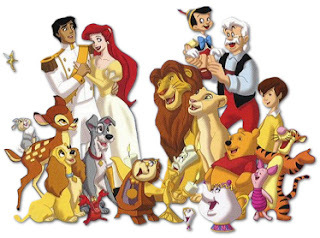 Animation got its start at the turn of the 20th century and it was in 1923 that the Disney brothers opened their first animation studio. The cartoons they produced set them on the road to success and they soon saw the need to train new recruits to help out with the drawing work. Guests at Hong Kong Disneyland will have the rare opportunity to learn how to draw from the latest generation of talented Disney experts who will demonstrate how to draw their favorite Disney characters. Then our Guests will be able to practise and perfect the drawing themselves - a career as a Disney artist might not be far off! 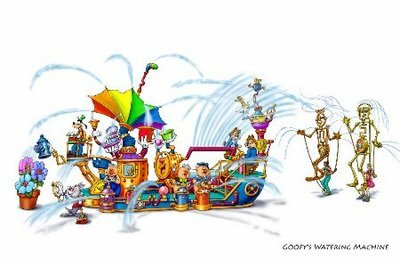 Yet another upcoming program, Mickey's WaterWorks is a water-based day parade designed uniquely for Hong Kong Disneyland. 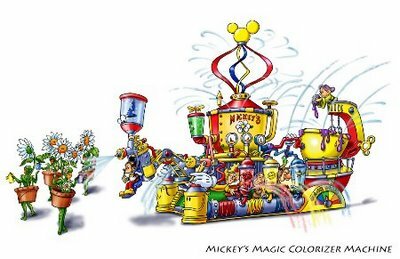 In a succession of fanciful displays, the parade will showcase just how Mickey and his pals keep the Disney landscape looking so beautiful and lush. But watch out! 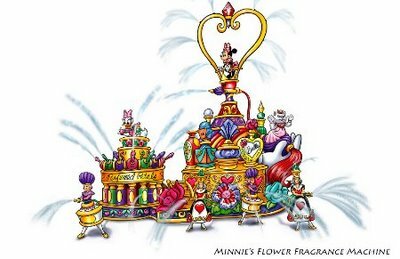 Onlookers are likely to get caught up in the "splashy" show as Goofy dutifully waters the plants and Minnie carefully spritzes the flowers with perfume. 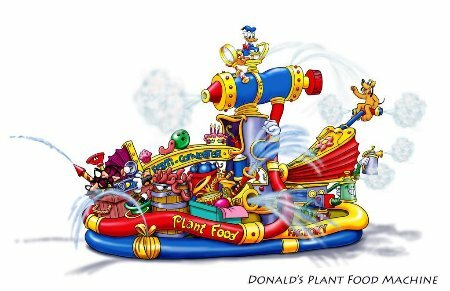 Be careful when Donald Duck uses his newfangled machine to feed the flowers and plants, or when Mickey paints everything around him with a colourful glow! In the heat of the summer, everyone will be in for a splash of refreshing fun! "Walt's dream of Disneyland never being complete as long as there is imagination left in the world continues to live on right here in Hong Kong," stated Ernest. "Hong Kong Disneyland will continue to evolve and grow – delighting families from Hong Kong and all over Asia for many years to come." it's a small world will be the fifth new attraction added to Hong Kong Disneyland since its September 2005 opening. Tomorrowland was expanded in the summer of 2006 to incorporate three dynamic new attractions – Autopia, Stitch Encounter and the UFO Zone. With all this expansion, many wonder when the rides we all know we want to see will come. It appears that 2009 will be the year in which we see either Pirates of the Caribbean ride or the Haunted Mansion. My bet is on POTC, with HM coming the following year.